Before we get in to my Frugal Round-up for last week, you may have noticed that I added a little something new to last week's link-up. Underneath each post, there was a like button. I thought I'd test it out and see how it went last week, and it looks like some of you joined in on the fun. The like buttons are just a way for you to vote for your favorite links. They are not connected to Facebook...they are just for the link party. I thought it would be a fun way to make things a little more interactive. So starting next week, I'm going to post my own favorite links for my Round-up AND I'm going to post one link that was the "FAN FAVORITE" for that week. All you have to vote for the FAN FAVORITE is click the like button beneath your favorite posts. You can even vote for more than one post! And if I get my act together, I'll try and get a special button for both my Frugal Round-up posts and the Fan Favorite posts so that the winners can proudly display them on their own blogs! So visit and vote! 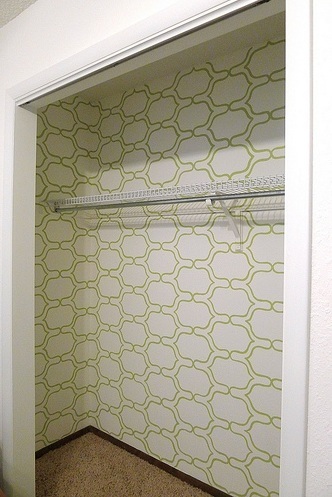 First, Welcome to Heardmont shared her pretty stencilled closet. I just love stencilled walls...and admire those patient enough to do them! Next, Wildwood Creek shared her pretty storage dresser. 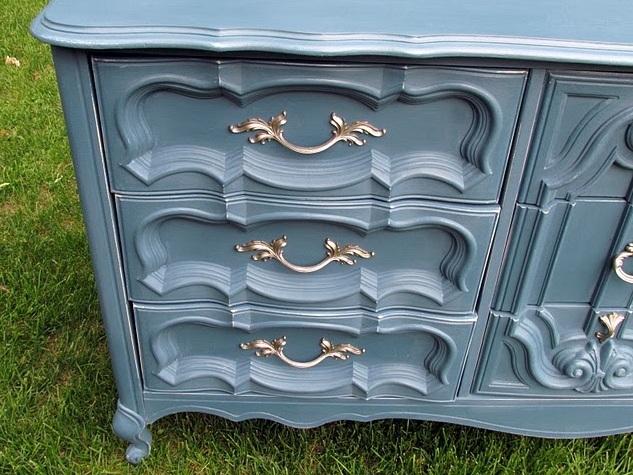 I have a similar dresser, and now I'm inspired to finish it! Pear Tree Cottage shared her lovely fireplace redo. I'm really lovin' the fresh, clean look! 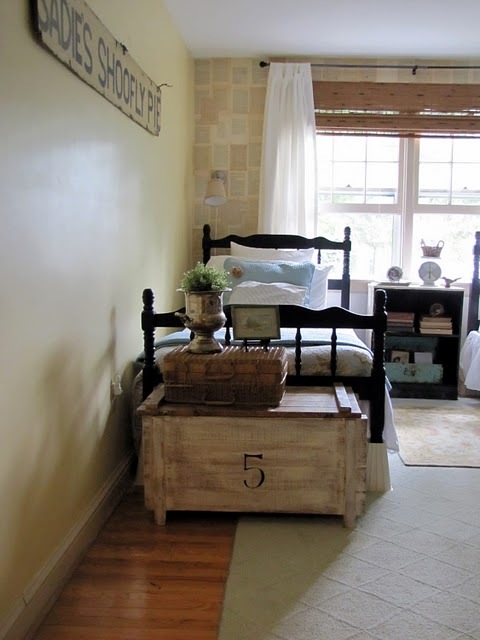 Finally, The Painted Home shared her cozy guest room. Makes me want to come visit! i like your idea with the buttons...i wasn't really clear on them. they aren't associated with fb, that's interesting. the only down side i see to them, is that instead of posting a comment on that link (you know how we all love comments) the like button isn't letting the linker know. is that making sense? thanks for hosting, and have a good 4th! Thanks for hosting a great linky party! We appreciate it! What a lovely surprise to see our closet featured on your blog today! I clicked over to link up a couple new projects and your sweet post brought a smile to my face. I hope you have a lovely evening, and thanks for hosting! LOVE that stenciled closet! Thanks for hosting! Oh my! That stencilled closet is a wonder and that guest room (head hung in shame)-ours has everything in it that has been misplaced from our build. Not quite so attractive. Can't wait to explore and thank you so much for hosting. Thank you for hosting - since I spent Waaaay too much time here- will y'all come help me do laundry??? Thank you for hostessing, have a great 4th of July! What a thrill to see my dresser featured! Your blog was one of the first blogs I discovered that inspired me to start my own blog. Thanks, Wendy!